A big Thank you to the head of our resort, Karl Strand, for being WSKI’s guest to share with our viewers Management’s thoughts on how this season has gone, & what’s next for the resort in the months ahead. We know Sugarloaf’s clientele appreciate hearing what’s going on upstairs in Admin. 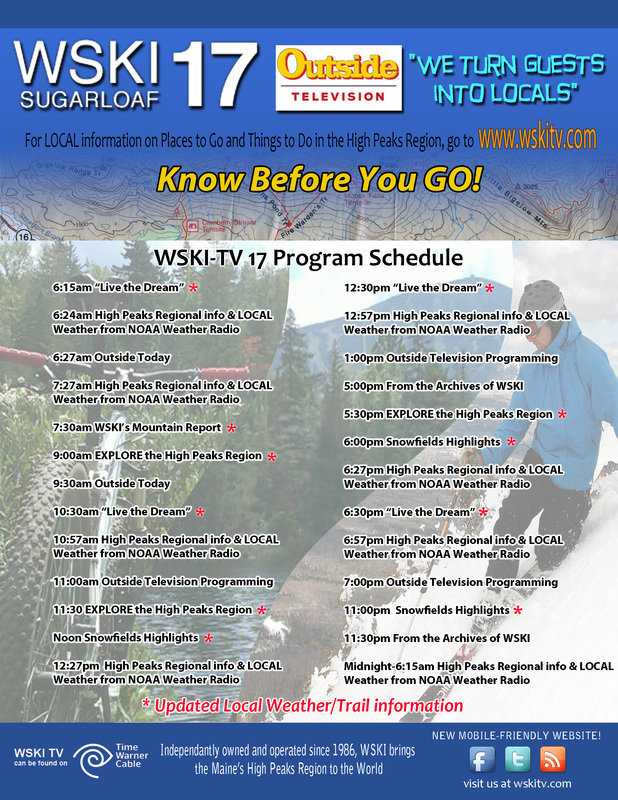 Glad they took us up on the invite to share this with anyone who is interested in what’s happening with our Mountain!